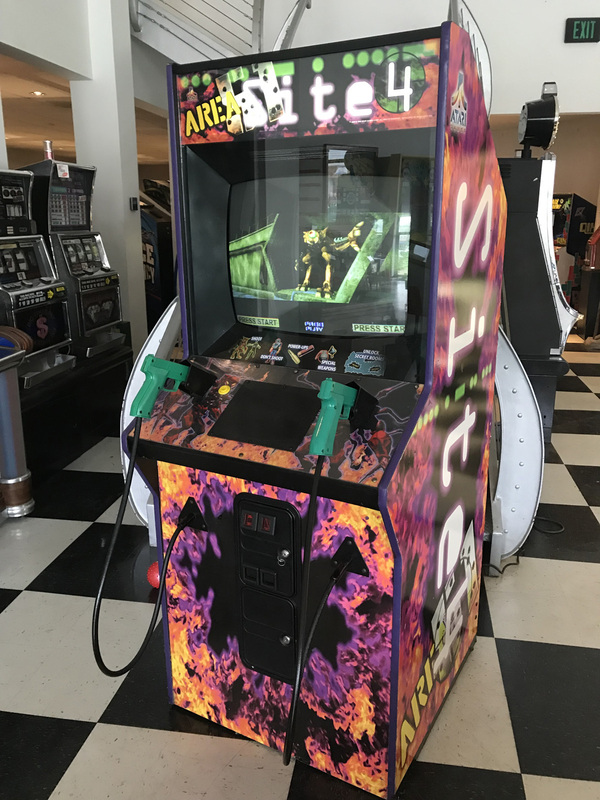 Area 51: Site 4 Arcade Game | Fun! 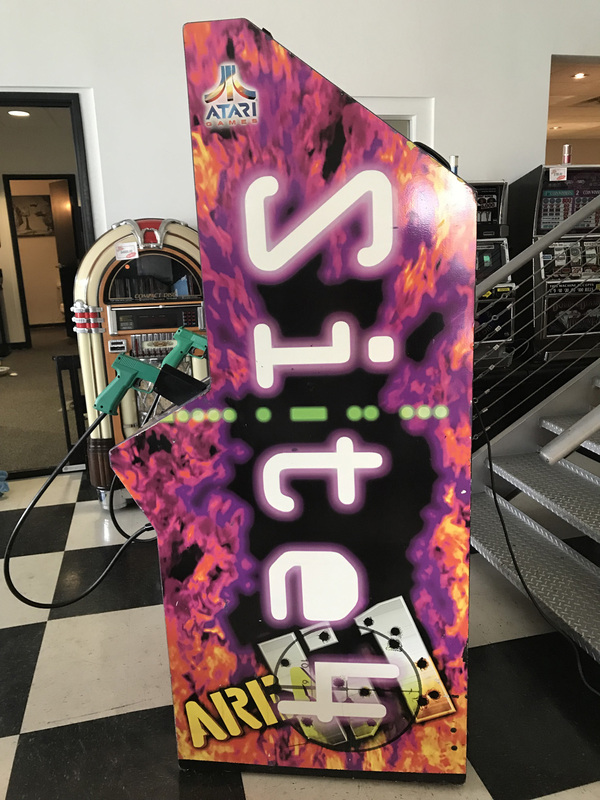 Area 51: Site 4 is a light gun arcade game developed by Atari Games in 1998. It is a sequel to the original Area 51, picking up where that game left off. The game is broken down into two big menus: field exercise and adventure. Field Exercise is the main mode of the game. 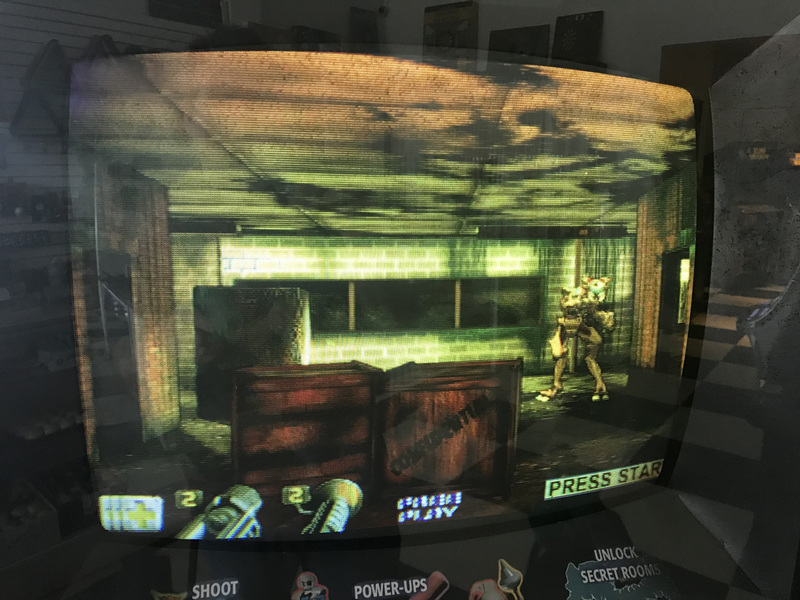 The training levels are based on brief missions where the player must complete all “training challenges” and the “real mission” (in either order). Completing all the training challenges will involve shooting zombies that are contained in the labs, shooting giant maggots trying to burrow into sick patients in an infirmary, protecting a bus from aliens trying to roll it over, and destroying alien ships, turrets, and missiles. In the final mission, the player must go into a huge warehouse to destroy a giant red alien with multiple limbs, shooting zombies and aliens. The player will lose a life if hit by an enemy, shooting a S.T.A.A.R. team member, failing to complete a quota or letting the bus tip over where the player must protect it. 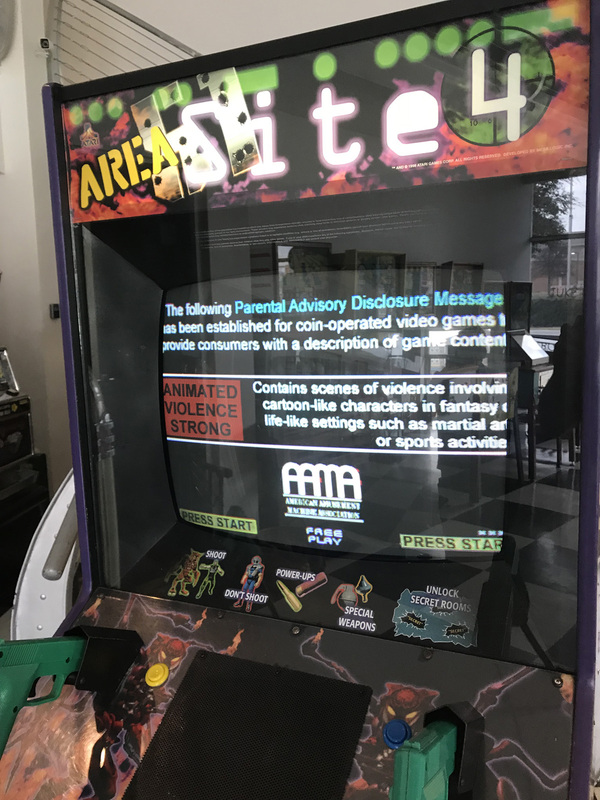 This is a dedicated AREA 51: Site 4 with full side art on the cabinet. 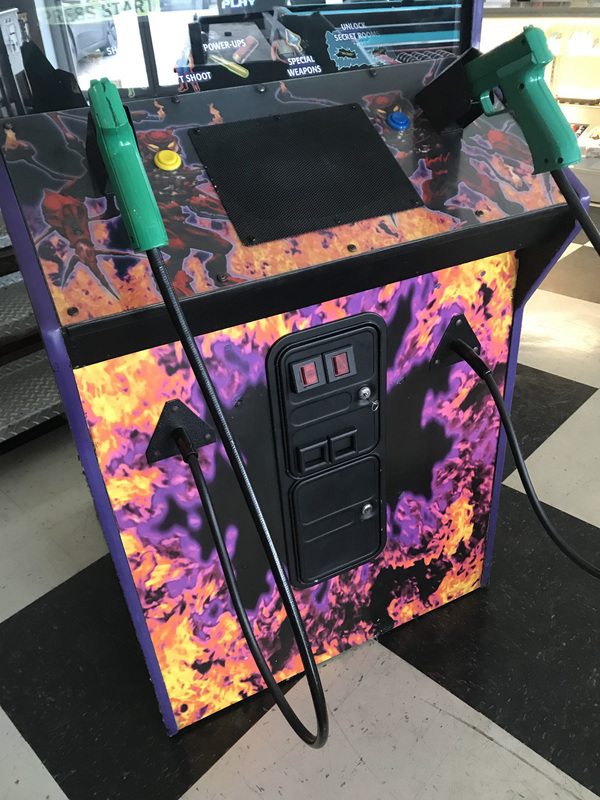 It is a used commercial arcade game that does have some surfaces scratches and nicks on the cabinet, which is what you would come to expect from a used arcade game. Area 51: Site 4 has been fully checked out by our technicians and works great. 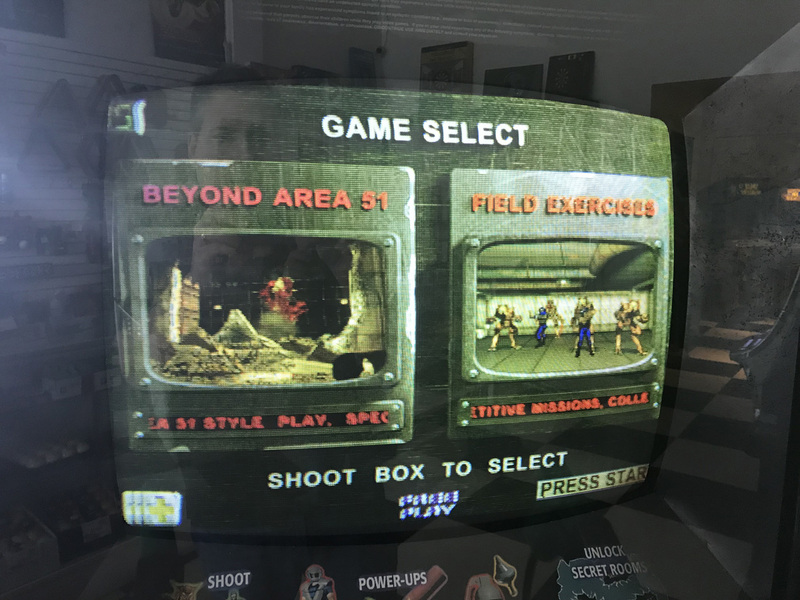 Both guns have been calibrated for proper operation and the 25″ CRT monitor has a beautiful crisp, bright picture. 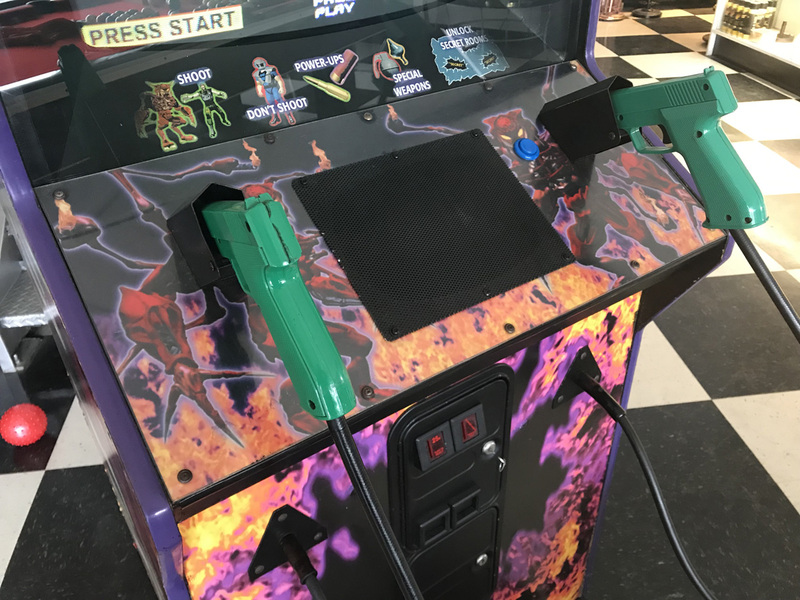 Area 51: Site 4 can be set to free play or back to coin operation to earn revenue. 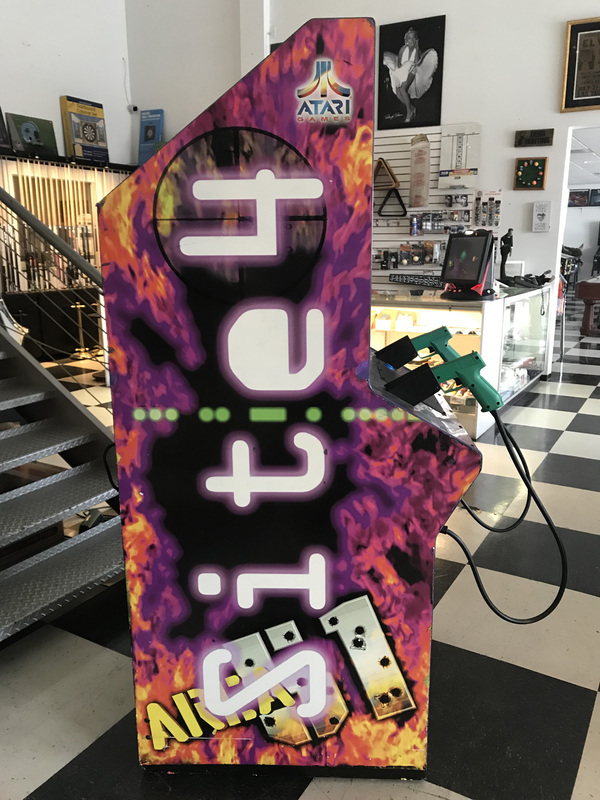 As with all of our pre-owned games, Area 51: Site 4 includes a 30 day warranty on the electronics.